Satisfies Your Cravings. And Your Goals. BEACHBAR is a great daily snack that you can have on-the-go and at any occasion. It also integrates into programs that follow the Portion Fix container system as 1/2 red, 1/2 yellow, and 1 teaspoon. 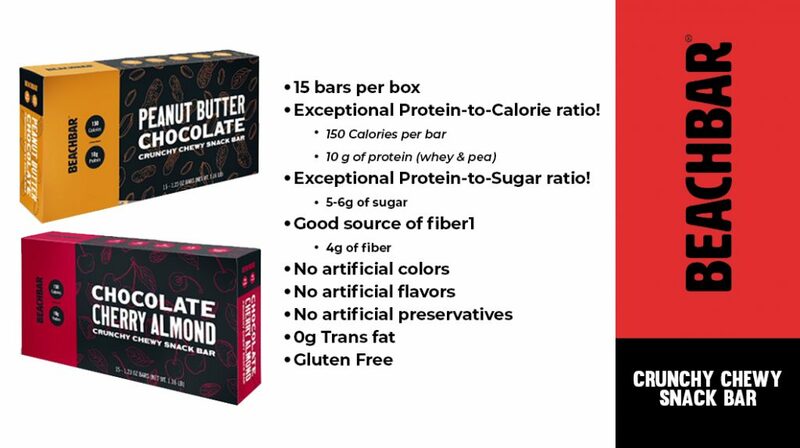 The two flavors are Peanut Butter Chocolate and Chocolate Cherry Almond.